This morning I woke around 7am again and did the usual morning coffee run to el centro. This morning I took the long way round the lake as its so beautiful and peaceful at this time of morning. 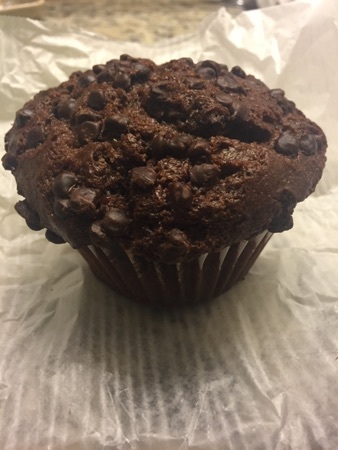 I grabbed us a chocolate muffin to share using a snack credit to put us on until lunch time. This should have been $3.19. It was really good, had loads of chocolate chips and was incredibly moist. 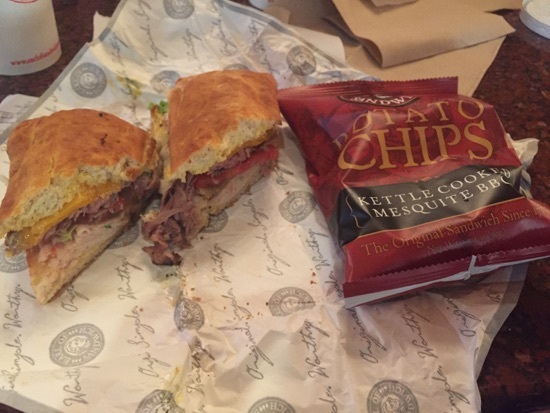 For lunch we headed to Disney spring and grabbed an earl of sandwich. I had the full montague with BBQ crisps and a cherry coke. 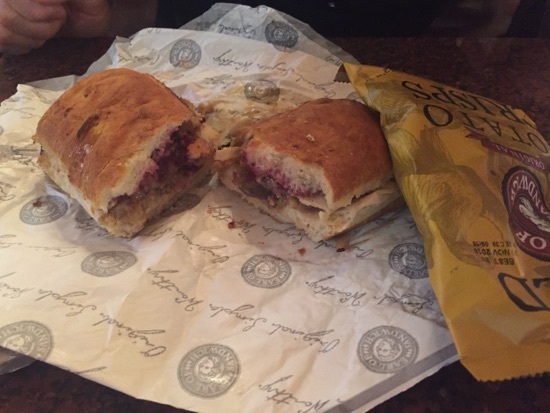 DH had the holiday sandwich with original crisps and a lemonade. DD got a side of macaroni cheese and shared our crisps. This came to $29.32 total and we used 2 quick service credits and paid $4.99 for the macaroni cheese. The sandwiches were so tasty as usual and the mac & cheese was really good. My usual sandwich is the Italian which I think I prefer but the full montague was good. It had beef, turkey, cheddar, Swiss, lettuce, tomato and mustard sauce. DHs holiday sandwich had turkey, cornbread stuffing, turkey gravy, cranberry sauce and mayonnaise, this is his usual and again it didn't disappoint. We spent the afternoon at premium outlets doing abit of shopping. Character warehouse was alright, bought DD a Sofia the first hoody for $9.99 instead of $34.99. 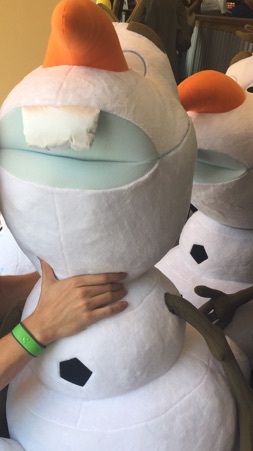 They also had these massive Olaf plushes for $29.99, we were very tempted but didn't think we'd fit it in a case home. This evening we had a reservation at the yachtsman steakhouse, this was a new restaurant for us having never eaten here before. We got the bus from CSR to Epcot and decided to walk through the international gateway to the yacht club. Just as we made it to the world showcase it started raining, proper Florida raining as well! We waited in a shop for a while but decided we were going to be late and just had to make a run for it. We arrived soaked through! 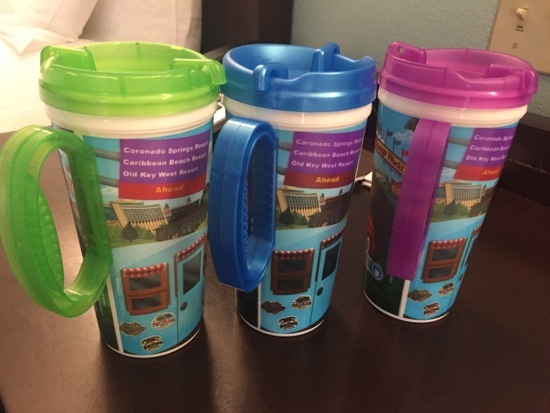 After a quick dry off with some towels in the beach club lobby which cast members were handing out we made our way to the yachtsman and checked in, we were seated almost immediately and our server came over and took our drink order and explained the menu choices Tony's. 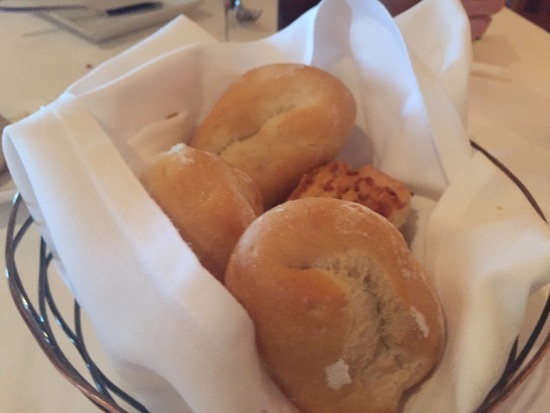 We were brought a bread basket, this had onion rolls and sour dough. It came with a bulb of roasted Garlic and some butter topped with sea salt. This was Amazing. The onion bread particularly was so soft and really tasty but the garlic was just fantastic, it was soft and spreadable almost like butter but had the most amazing taste and went so well with the bread. We could have eaten this all night but didn't taken our server up on the offer of more bread. 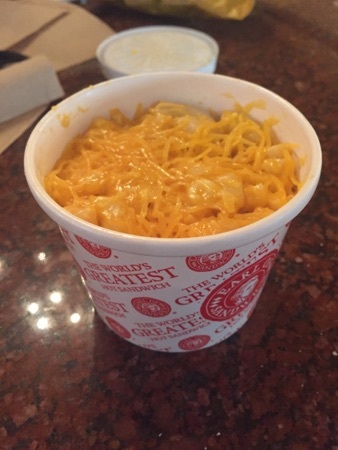 DD ordered the Mac & cheese. 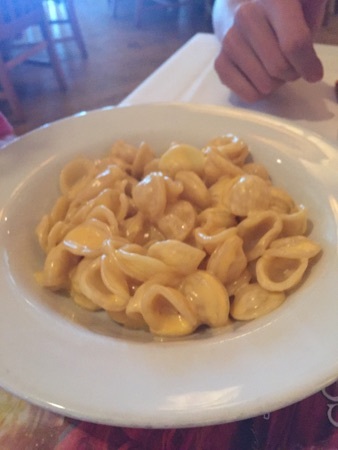 I tried this when it arrived and it is probably the best Mac cheese I have ever tasted, it was so buttery. 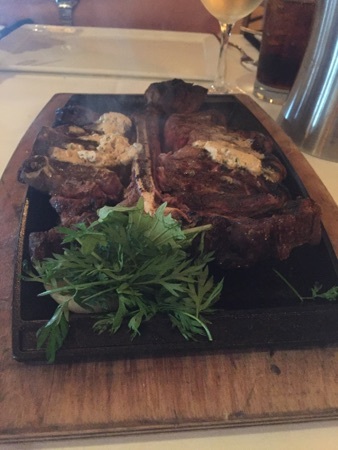 DH and I shared the 32oz porterhouse, we had this cooked medium rare. 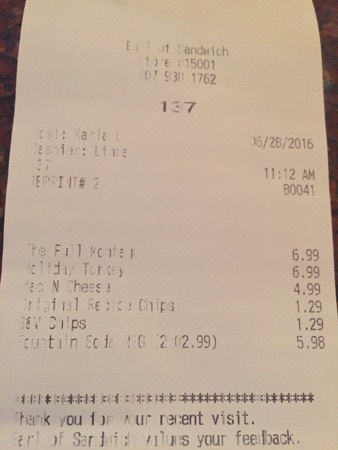 We were able to order this between the 2 of us on the dining plan. 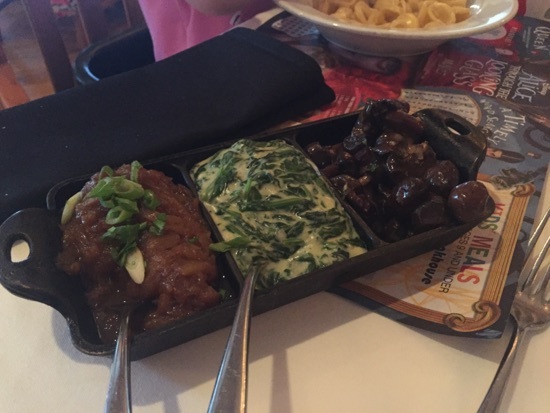 This came with a trio of steakhouse sides which were roasted onions, creamy spinach and mushrooms. All 3 of these were very tasty but mushrooms were the stand out winner, they were full of flavour. 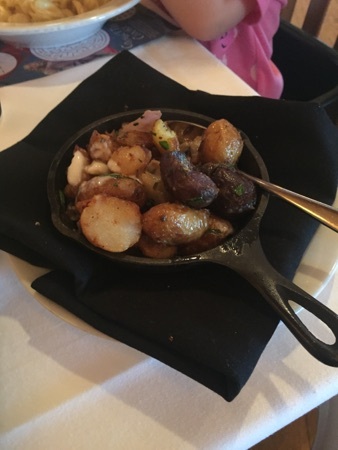 The porterhouse also came with some roasted potatoes, these were fine, just small roasted potatoes with some pieces of onion in, don't get me wrong they were nice but compared with everything else they were just potatoes. The steak was delicious, cooked perfectly and the seasoning was spot on. It was melt in the mouth and also came topped with some herb butter which added to the taste and richness of the whole thing. 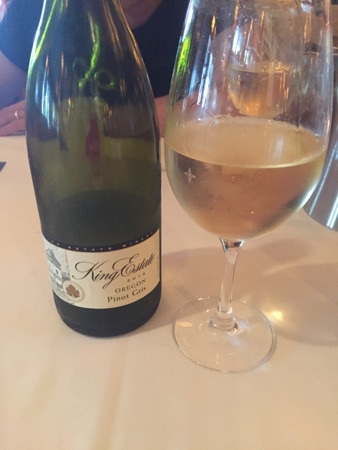 We ordered a bottle of pinot Gris to go with our meal, this was $49 and was lovely, it was very light and refreshing after quite rich food. I ordered the peanut chocolate cake. 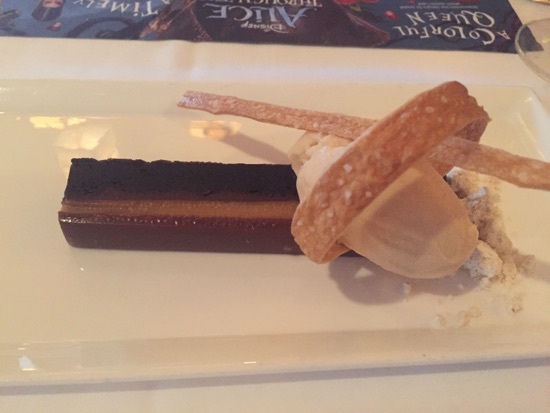 This was a soft ganache style cake topped with ice cream and pretzels with a pretzel powder/crumb. It was absolutely delicious, It wasn't as rich as I expected it just perfect and so tasty! Only problem was there just wasn't enough. 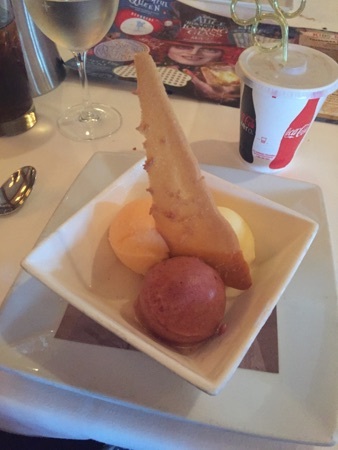 DH ordered the trio of sorbets, one of which was melon and one was a wine flavour we think. 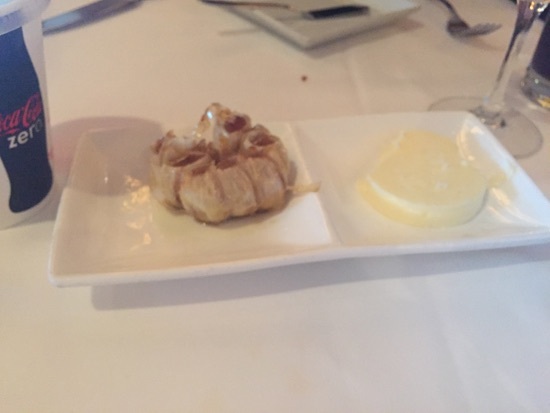 These were really nice and DH enjoyed them but I think my dessert was the stand out winner. 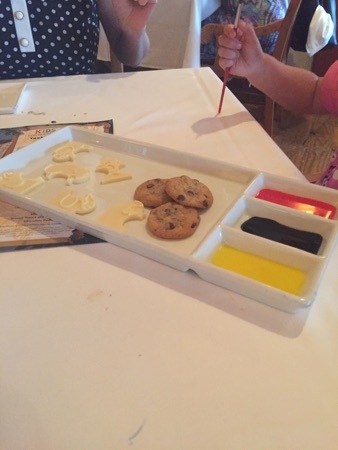 This meal should have come to $220, we used 4 adult table service credits and 2 child credits and paid the $52 including tax total for our wine. This meal was fantastic, I left feeling full but not too full which was lovely and our server Paul was amazing from start to finish. He was the correct level of attentive without popping by all the time. He even got the manager to come out and speak to us at the end as he was from Liverpool originally and likes speaking to guests from back home in the UK, we thought that was a really nice touch. Those sandwiches look great, I need to put EOS on our list for October. YUM! Good job on keeping up with these updates! Nov/Dec 2017! Yacht Club & The Poly! Love the EoS holiday sandwich! New Photo Added by missdopey - 29 Jun 16 1:12 PM. Yum the yatchsman looks fantastic.